Give your teens the tools they need to become good drivers. Below are some tips that will help. Talk with your Teen: Sit with your teen drivers and make them aware of dangers of mobile phone use while driving. Visit TheNoPhoneZone.org for facts, statistics and videos on the dangers of driving while using a mobile phone. Practice what you Preach: Do as you say, by eliminating any calling or texting while driving. Statistics show teen driving behavior will mirror adult driving behavior. Take The Pledge Together: Have you and your teen sign the No Phone Zone pledge together, promising to refrain from all talking and texting while driving. Write it Down: Lay out your safe driving expectations in writing, including guidelines about curfews, number of passengers in the car, and other distracted driving risk factors. Mobilize Other Families: Try using peer pressure to your advantage, by enlisting other parents to talk with their young drivers about the risks of distracted driving and have their teens sign the No Phone Zone pledge. Spot the Distracted Driver: Take your teens on cell-free drive, looking for examples of mobile phone distracted driving; they won't be hard to find. Leverage Text-Blocking Software: Consider subscribing to a service that automatically forwards text messages and phone calls when the driver is behind the wheel. Search online for "text blocking software" to find a wide array of options. Take a Distracted Driving Test Drive: Find an empty parking lot and set up your own obstacle course with cones. While you oversee the action from the passenger seat, have your teen attempt to send a text while driving very slowly. The experience of hitting a cone will be a wake-up call to your young driver. Add Visual Reminders: Install cell phone holders, air freshener devices, or other automotive accessories (such as those available through www.HandStands.com) clearly declaring the car a "No Phone Zone" as a constant reminder that they took the pledge. Tap Technology: Install a device such as Key2Safe Driving on the phone your teen uses that automatically routes calls and text messages to voice mail. It prevents outgoing calls and texts to all phone numbers except 911 and two pre-programmed numbers of your choice (such as a spouse or parents). For more information about creating safer teen drivers or to learn about the No Phone Zone pledge, visit www.TheNoPhoneZone.org. 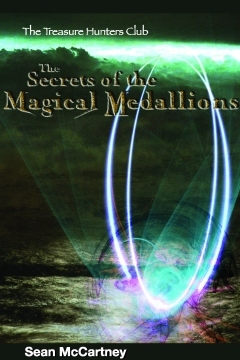 The Secrets of the Magical Medallions: The Treasure Hunters Club Book 1 by Sean McCartney is a delightful adventure for ages 8-14. Join Tommy and his famous uncle, Diamond Jack, as they combine history, adventure, danger, and an ancient mystery. Join the Club, now. 176 pages. This summer Neutrogena gives teens the power to affect change via a campaign that that makes it easy for teens everywhere to not only give back, but to choose how Neutrogena will support communities in need. From July 17th through August 23rd, Neutrogena will donate $1 for every Wave� Sonic Power-Cleaner and Oil-Free Acne Wash Pink Grapefruit product sold, up to $200,000 to GlobalGiving. GlobalGiving, an organization that links donors to great causes, will then distribute the funds to environmental, educational and disaster relief charities. Teens can get involved and determine how much of the $200,000 will be distributed to each cause by visiting the Neutrogena Facebook Page [http://www.facebook.com/neutrogena] and taking a customized quiz which determines what percentage of the funding will be donated to each cause. � Teens who'd been victims of cyberbullying suffered from emotional distress, concentration problems, headaches and abdominal pain, and had difficulty sleeping. � Cyberbullies indicated several of the same symptoms, as well as behavioral problems, hyperactivity and frequent substance abuse. The biggest challenge to combating cyber bulling is that parents often don�t know what their kids are doing online and they find out about the problem after it�s too late. Find leading Internet safety experts at SafetyWeb.com (just hailed by the New York Times on Saturday as a �simple Internet cheat sheet� for millions of parents overwhelmed by the amount of technological change). The Wall Street Journal also did a front page Marketplace story on the company and why it�s a good bet for parents looking to protect their families. � Dr. Robert Scott, author (Raising Up Champions), graduate of Harvard Medical School (for Counseling and Analytical Psychology), has a law degree, is a professor (Adjunct Professor/ Psychology at MassBay Community College), an ordained minister, runs a family foundation (Mentor at Scott Family Foundation), a judge (Hon Robert Scott at New Hampshire General Court), and has held public office. � Hemu Nigam, SafetyWeb advisor, co-chair of President Obama�s Online Safety Technology Working Group and current board member of the National Center for Missing and Exploited Children, is available for an interview to help the least web savvy parents understand real threats vs. perceived risks in their children�s online activity. � Michele Ybarra MPH PhD, President and Research Director -Dr. Ybarra is a recognized researcher in technology-related health issues for young people. She has published extensively in the areas of Internet harassment and other types of online victimization, health information seeking, and research methods as they relate to technology. She is the recipient of four NIH-funded R01 grants. 5. Is it possible to erase the damage, or will it leave a permanent mark on the Internet? Santa Barbara County � With the weather heating up, everyone is heading to the beach or the pool. The American Red Cross, Santa Barbara County Chapter has some tips for you to enjoy your summer in the water � and stay safe as well. Ensure that everyone in the family learns to swim well. Enroll in age-appropriate Red Cross water orientation at your local Chapter and Learn-to-Swim courses. Never leave a young child unattended near water and do not trust a child�s life to another child; teach children to always ask permission to go near water. Establish rules for your family and enforce them without fail. For example, set limits based on each person�s ability, do not let anyone play around drains and suction fittings, and do not allow swimmers to hyperventilate before swimming under water or have breath-holding contests. Avoid alcohol use. Alcohol impairs judgment, balance and coordination; affects swimming and diving skills; and reduces the body�s ability to stay warm. Ensure that pool barriers enclose the entire pool area, are at least 4-feet high with gates that are self-closing, self-latching and open outward, and away from the pool. The latch should be high enough to be out of a small child�s reach. Actively supervise children whenever around the water�even if lifeguards are present. Do not just drop your kids off at the public pool or leave them at the beach�designate a responsible adult to supervise. Always stay within arm�s reach of young children and avoid distractions when supervising children around water. Contact The American Red Cross, ����������������������Santa Barbara County Chapter to find out more information, (805) 687-3322 or go to www.sbredcross.org. The American Red Cross shelters, feeds and counsels victims of disasters; provides nearly half of the nation's blood supply; teaches lifesaving skills; and supports military members and their families. The Red Cross is a charitable organization - not a government agency - and depends on volunteers and the generosity of the American public to perform its humanitarian mission. Locally, the American Red Cross, Santa Barbara County Chapter provided services to more than 30,000 people in Santa Barbara County and distributed disaster preparedness and health and safety materials to over 13,900 school children, seniors and community members. For more information, please contact the American Red Cross, Santa Barbara County Chapter at 687-1331 in Santa Barbara or 928-0778 in Santa Maria. Now, find the Red Cross on Twitter @SBRedCross! Wondering where to go for your next vacation? Wanting the family to learn a little something along the way? Consider a visit to one of the more historic destinations our country has to offer. Whether you walk Boston�s Freedom Trail or take a trolley around Savannah�s historic squares, America is full of national treasures that make for the perfect family vacation! It�s easy to forget that before Times Square and Central Park, the Dutch originally settled the Big Apple in 1625 and the British then conquered it in 1664. New York City has since played an important role in American history including becoming the financial capital of the world and a major center of academia, fashion and culture. I like NYC in the summer because there is so much that you can do for free (including tours and museums). Visit the oldest city in the U.S. and get your dose of warm Florida sun and fascinating history. St. Augustine is known for its gorgeous sandy beaches, breathtaking architecture, and Spanish fortifications. There are some terrific local museums including The Oldest Wooden Schoolhouse and Ponce de Leon�s Fountain of Youth National Archaeological Park. I briefly called Savannah, GA home and all I can say is that you should definitely spend some time in this sultry southern city. Magnolia trees draped in Spanish moss line the avenues, framing exquisite Southern homes and accentuating the warmth and beauty of Georgia�s very first city. One of few to be spared from the ravages of the Civil War, legend has it that General Sherman declared the city of Savannah too beautiful to be destroyed. The food is delectable, too. After all, Paula Deen hails from this southern sanctuary. History really comes to life in Boston; a city that blends modern day advancements and a rich legacy of America�s formative years. You will definitely want to take your walking shoes because you don�t want to miss The Freedom Trail or Boston�s Walk to the Sea (both free activities). And don�t worry, there are accessible tours and tours that accommodate little feet. Boston is hip and historic and filled with an array of activities to keep you going from morning �til night. Santa Fe is the oldest capital city in what is the modern United States. The area has a very high concentration of artists with an abundance of galleries, sculptures and displays for you to peruse. The preservation of its historic Spanish-Pueblo style of architecture is also remarkable and truly breathtaking. History intrigues us because we gain a little insight and perspective as to how and why things have come to be (or not come to be) for a place. We can appreciate the places we are visiting when we know more about them and what significance they hold. San Antonio is a great example of that. On it�s own it has the famed River Walk which is a treasure to stroll along with its beauty, art, and music but you are also steps from The Alamo, where the famous battle of the Texas Revolution took place. We just need to remember the ages of those we are traveling with and help them understand and appreciate what they are seeing on their level, so the historic vacation can be fun for everyone. For younger family members, pick out the historic facts that they can understand or would find most interesting and perhaps save some of the more sedentary tours for the return visit when they�re older. Talk to local people. They can tell you all kinds of things � and what better way to connect with a place than through human connections? Take detours � planned and spontaneous - off the main highway. See what you can discover. Stay local. Get to know more about an area by choosing a bed and breakfast or historic hotel during your visit.